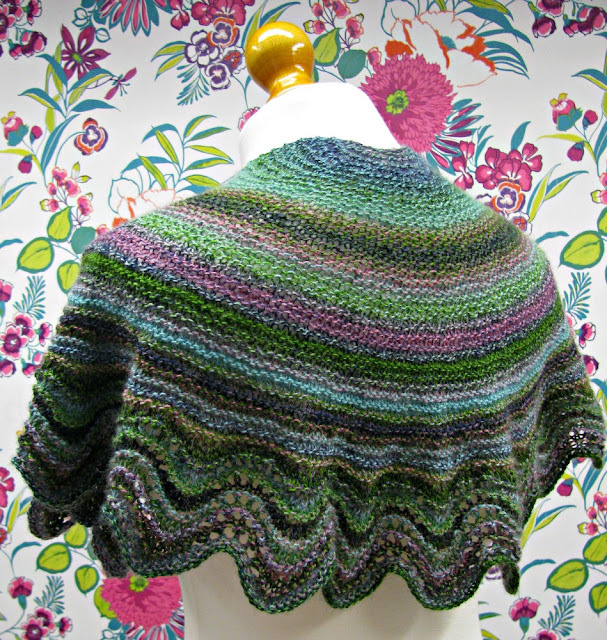 This is knit for a wee girl but you can see from the photo it would make a lovely shawlette for an adult too! I used a free pattern in Ravelry by Joanna Johnson called Little House Shawl. You can see it here too. remember... sock yarn isn't just for socks!